I’m on my second visit to London within a week – which is, frankly, a bit much. So there is a bit of remote working and a touch of self-steering going on back home. Which reminded me … as I read the material about the memorial which was unveiled to the so-called ‘Cockleshell Heroes’. In 1942, a group of Royal Marines canoed over 70 miles to destroy German shipping in Bordeaux. Only two of them survived. One of those who survived was the legendary ‘Blondie’ Hasler. But they missed the other life he led after the war. 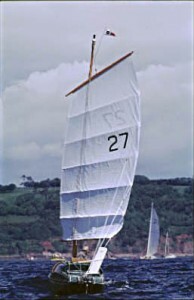 He set out to develop the smallest yacht which could comfortably be sailed single handed. 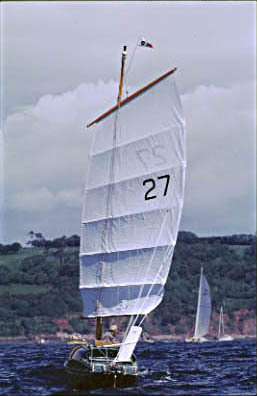 The result was Jester – one of the Folkboat class which, as its name suggests, was a sort of ocean-going Volkswagen Golf. He gave it an unstayed mast and a chinese junk rig. He then invented the servo pendulum self-steering gear – and challenged others to the first Single-Handed Transatlantic Race, in which he came second. That was the beginning of the story of single-handed sailing which has stretched from Francis Chichester to Ellen MacArthur. A remarkable man. Sorry about that Irene. I know how gospel-greedy you are, etc., etc.